*Summit at Bolton Valley* is a beautiful property set on 5,200 acres of pristine landscape, and is Vermont's best-kept mountain secret! 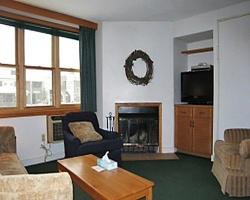 Bolton Valley is within 30 minutes of Burlington, Montpelier, Stowe, and most major Vermont attractions. Offering Vermont's only night skiing, the resort gets more than 300 inches snow a year. In addition to the 60 downhill skiing runs, Bolton Valley resort offers endless backcountry skiing and more than 60 miles of groomed cross-country skiing. 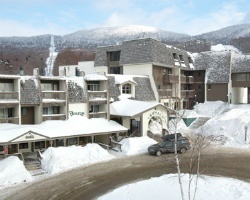 The trail system is within 100 yards of the resort village. Alpine, Nordic, snowshoe, telemark rentals, and lessons are available on-site. For more information, visit www.thesummitatboltonvalley.com. Escape to this peaceful retreat! Use every year in red season week 1! Buyer May Receive A Title Fee Credit, Inquire For Details! Beautifully set on wooded acres surrounded by green mountains! Buyer May Receive A Title Fee Credit, Inquire For Details!